Warner Bros. Productions. 1960. Director: Fred Zinnemann. Music: Dimitri Tiomkin. LP (ST) Cinema (USA). LP-8014. (m). 1961. Suite From “Sundowners” (Pt. 1). Suite From “Sundowners” (Pt. 2). EP (AD) W&G. WG-E-1357. (m). (Picture sleeve). “SONGS FROM THE SUNDOWNERS”. 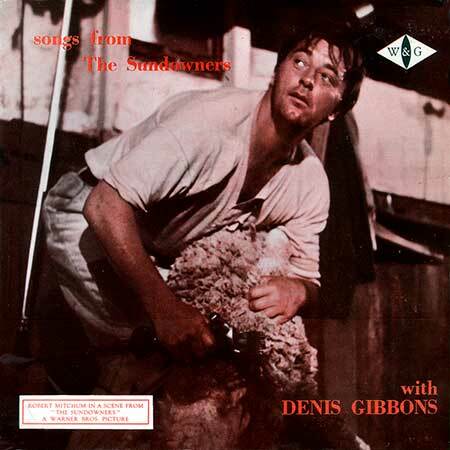 Arranged and Sung by Denis Gibbons. Side 1: “The Overlanders”. (1:53). (Trad. Arr: Denis Gibbons). (Woomera). “The Wild Colonial Boy”. (3:07). (Davis & Co.). “Lime Juice Tub”. (1:56). (Trad. Arr: Denis Gibbons). (Woomera). Side 2: “Botany Bay”. (2:30). (Trad. Arr: Denis Gibbons). (Woomera). “Moreton Bay”. (3:35). (Trad. Arr: Denis Gibbons). (Woomera). 45(a)	(AD)	Liberty (USA). F-55282. (m). “Theme From The Sundowners”. (2:20). (Dimitri Tiomkin). (Witmark & Sons - ASCAP). Felix Slatkin Orchestra and Chorus. LP(t) (AD) W&G. WG-BS-1118. 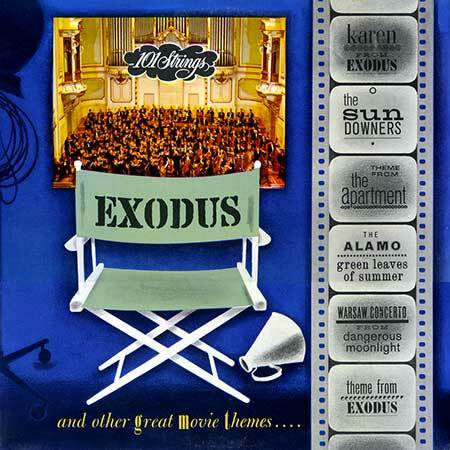 “EXODUS AND OTHER GREAT MOVIE THEMES”. S2-Tk2 “Theme From The Sundowners”. (Tiomkin). (Allan). Played by 101 Strings. LP(t) (AD) London (UK). LL.3231. (m). (Stereo - PS 224). “MUSIC FROM EXODUS AND OTHER GREAT THEMES”. S2-Tk1 “Theme From “The Sundowners” (From The Film)”. (2:35). (Tiomkin). Mantovani and His Orchestra. LP(t) (AD) The Ace Of Clubs (NZ). ACLM.1073. (m). “MOVIE HIT PARADE”. S2-Tk4 “Theme From The Sundowners”. (Tiomkin). (Allan). 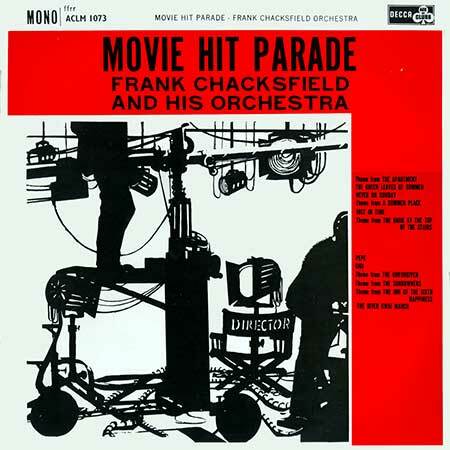 Frank Chacksfield and His Orchestra. LP(t) (AD) London HA R 2331 (Mono) / SAH R 6130 (Stereo). “THE SOUND OF STRINGS”. The Medallion Strings. Conducted by Emanuel Vardi. LP(t) (AD) Brunswick 45 O5846 (SP). 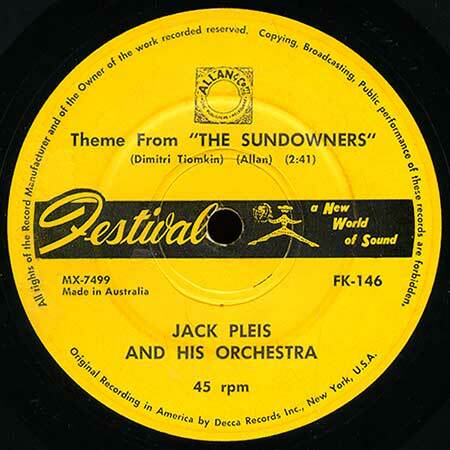 Jack Pleis & His Orchestra. 45(t) (AD) Festival FK-146 (SP). Jack Pleis & His orchestra. 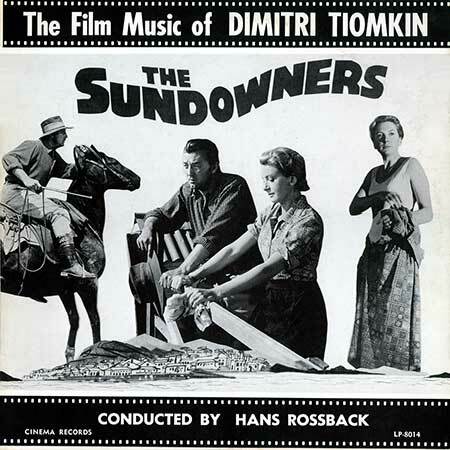 Side a: “Theme From “The Sundowners””. (2:41). (Dimitri Tiomkin). (Allan). 45(t) (AD) Philips PB 1094 (SP) / BBE 12413 (EP). Tommy Reilly (Harmonica) with Wally Stott & his orchestra. Side b: Down Under. * (* The secondary Sundowners theme is apparently entitled 'Down Under'). LP(t)	(AD)	London HAG 2368 (Mino) / SAH G 6168 (Stereo) / 45 HLG 9256 (SP). “THE MAGNIFICENT XI”. Felix Slatkin Strings & Chorus. LP(t)	(AD)	London HAD 2324 (Mono) / SAH D 6127 (Stereo) / 45 HLD 9259 (SP). “HIT PARADE”. Billy Vaughn & His Orchestra. LP(t)	(AD)	Oriole 45 CB 1571 (SP).Eric Winstone Orchestra & Chorus. LEP(t)	(AD)	Decca DFE 6671 (Mono) / STO 151 (Stereo). (No LP in UK). “EXODUS AND OTHER THEMES”. 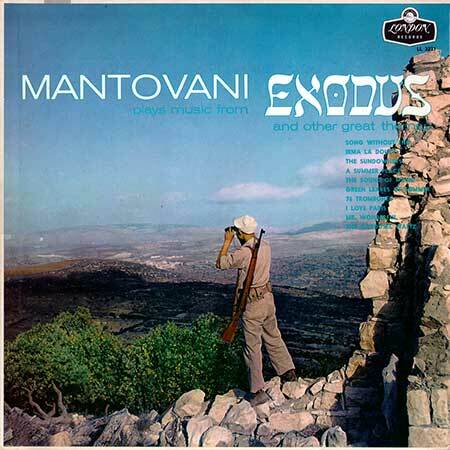 Mantovani & his Orchestra. LP(t)	(AD)	London HAR 2337 (Mono) / SAH R 6138 (Stereo). “TEMPTATION”. Roger Williams (Piano with accompanyment). LP(t)	(AD)	Pye GGL 074 (Mono) /GSGL 10074 (Stereo). “EXODUS AND OTHER GREAT MOVIE THEMES”. 101 Strings. LP(t)	(AD)	W&G. WG.B-2301. “AUSTRALIAN FAVOURITES WITH BRUCE ROWLAND”. 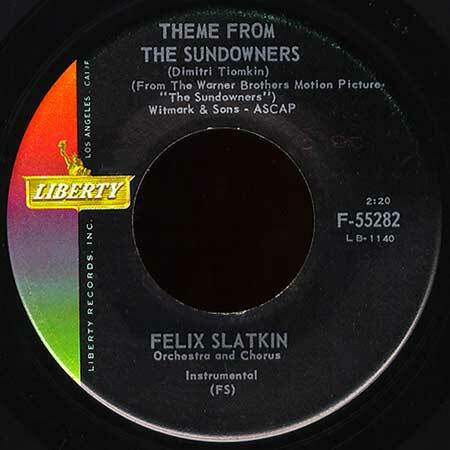 S1-Tk4 “Theme from The Sundowners (Slow Fox Trot)”. (3:46). (Tiomkin). (Allan). LP(t)	(AD)	London HA Z 2385 (Mono) / SAH Z 6185 (Stereo). “FAR AWAY PLACES”. Enoch Light orchestra. LP(t)	(AD)	HMV CLP 1472 (Mono) / CSD 1382 (Stereo). “MOTION PICTURE THEMES - CHA-CHA-CHA”. Tito Rodriguez & his orchestra. LP(t)	(AD)	Capitol T 1626 (Mono) / ST 1626 (Stereo). “THE SOUND OF 94 SPEAKERS”. Don Baker (Organ).